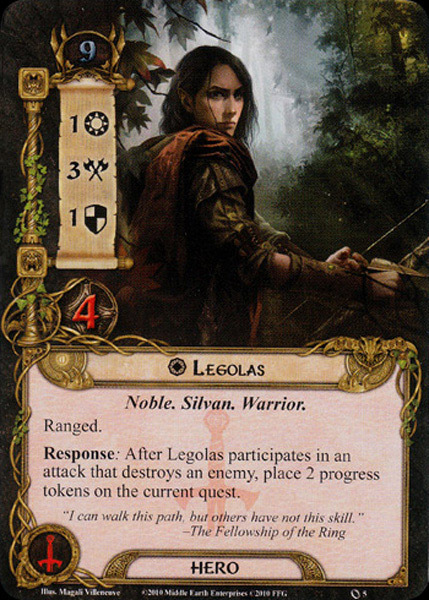 Response: After Legolas participates in an attack that destroys an enemy, place 2 progress tokens on the current quest. "I can walk this path, but others have not this skill." If you have an active Location, progress tokens are placed there instead of the current Quest card (official FAQ v1.1). This benefit occurs any time Legolas is part of an attack that destroys an enemy, whether he attacks alone or with somebody else.